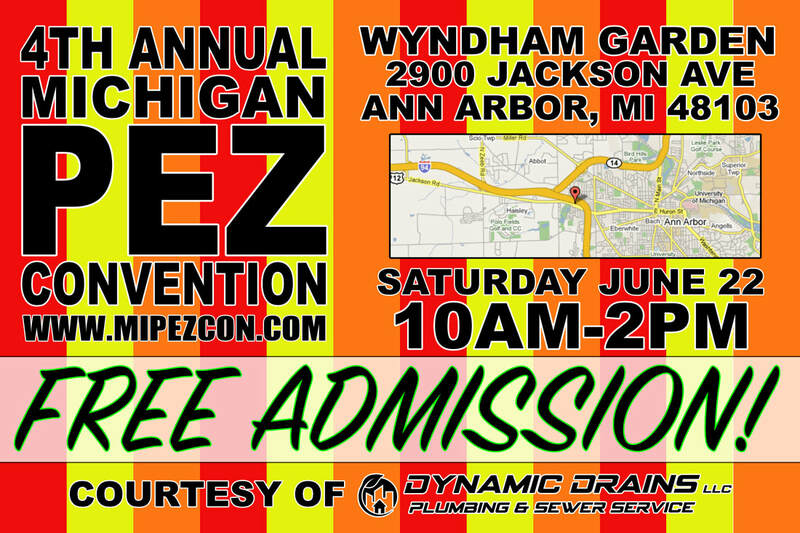 We are excited to announce that Dynamic Drains has signed on to be a premier sponsor for this years Michigan Pez Convention! They have graciously decided to cover ALL admissions for the Saturday Public Show, and excited to help promote this years Pez Convention in the Ann Arbor area! WE ARE DYNAMIC DRAINS We are passionate about plumbing and our goal is to have you feel just as passionate about our service. We care about our your individual needs and circumstances, which is why we offer comprehensive services and products, using the latest technology available to our industry. From common clogs to a full mainline replacement, Dynamic Drains is here for you, so don't hesitate to call. Our devotion to the customer experience has made us the first choice of many local business and homeowners. We strive to develop lifelong relationships with our customers.